Judith’s Reading Room is pleased to announce that they have been awarded a $5000 grant from the Lehigh Valley Community Foundation. This grant specifically supports Judith’s Reading Room’s Birth-2-Five Program. The Lehigh Valley Community Foundation promotes philanthropy in order to improve the quality of life in the region. The check will be presented by Lehigh Valley Community Foundation at Judith’s Reading Room’s Annual Board meeting. which causes them to start school not ready to learn. To address these educational gaps, we build each child’s first home library and supply bi-lingual read-aloud educational materials that proactively engage parents. Since its inception in February 2013, the Birth-2-Five Program has reached over 5,000 children in the Lehigh Valley. Over 5,000 Parent’s Pledges, a vow to read aloud for twenty minutes daily, have been collected and 8,138 books have been distributed to children at the WIC offices. 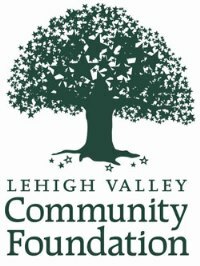 For more information on the Lehigh Valley Community Foundation, please visit them at www.lvcfoundation.org.